Milan at night: three young friends drive through the dark streets of Milan in a black SUV, a recent gift to Cosimo (Yuri Casagrande Conti), from his father. Eager to live up to his aspired bravura, Cosimo suddenly stops the car near a park where he and his buddies attack a random passer-by—in a frenzy of blows and imagined power. 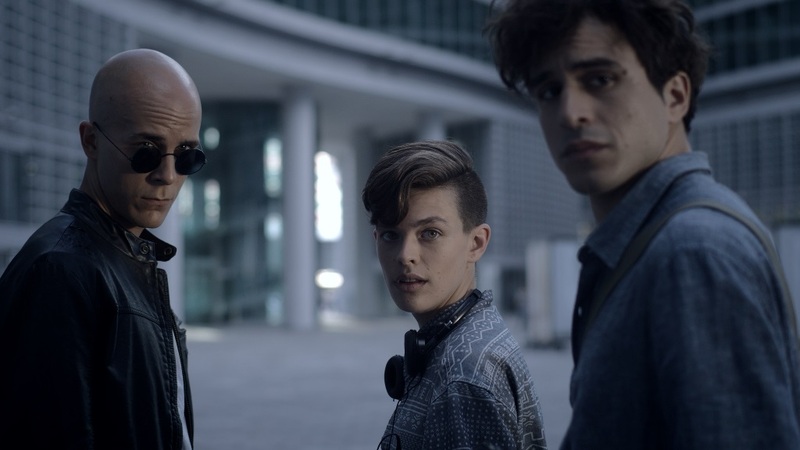 The aftermath of the attack impacts each of the friends differently: Cosimo tries to avoid the police; Giovanni (Gil Giuliani), struggling with the shadow of his famous photographer father even as he follows his path, applies to graduate school in photography; and Riccardino, (Claudia Veronesi), the quintessential tag-along, pretends to be a friend of the victim—motivated by a combination of guilt and morbid curiosity. The real protagonist of the film is the vague emptiness that crosses the faces and bodies of these young men. Their exploits are daring and wild and fuel their desire to experience life, but they’ve lost their moral compasses among Milan’s glass towers and rampant consumerism. Here and Now, a modern-day I vitelloni on steroids, is a compelling portrait of youth who roam the streets, desperately in search of meaning. Fabio Martina (born Milano, 1973) has a degree in philosophy and is a director and screenwriter for documentaries and features films in collaboration with RAI. He teaches cinema at the State University and at the School of Cinema in Milan. His first work, the documentary Clochard si nasce, screened at numerous film festivals. A due calci dal paradiso, shown on MTV Channel, received the Opera Prima Prize at the 2006 Sport Movies and TV, Milano International FICTS Festival. Special mention was given to his cult documentary Che cos’è l'amore at the Festival du film Italien de Villerupt. L’Assoluto Presente is his second long feature film.